St. Louis Science Center is tons of fun! And in case I don’t mention it forty more times within this post, it’s absolutely FREE!!!! The first thing you need to know about this place is that it is HUGE! 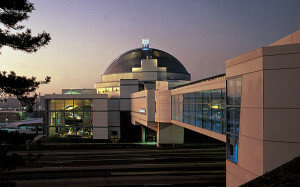 The center includes a hands on science museum and a planetarium. It has over 750 exhibits and encompasses over 300,000 square feet. Parking will cost you $10. The lot is quite large and you shouldn’t have any trouble finding a spot. If it is a very busy day at the St Louis Science Center, you may be in for a walk from your spot to the main entrance. Upon entering the center, prepare to be a bit overwhelmed. There is a lot going on. If you want to see a planetarium show, an Omnimax move or visit the Discovery room, you will need to purchase tickets at the counter. Tickets to those attractions can also be purchased in advance via this link. If you decide you just want to wander around and take in the exhibits and live demonstrations, skip the ticket counter altogether. You can walk right through and get started on the fun. The St Louis Science Center has 4 levels. There are large, open stairs to each level. There is also an elevator located in the center of each floor. 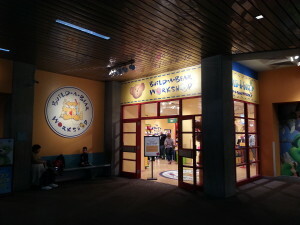 The main floor contains a gift shop, the life -science lab, a food court and the Energizer ball machine. This deal is hard to describe. It’s a huge contraption that can be seen overhead. You have to experience this thing to really understand. You can watch it from 3 levels of the center. The lower level is probably the most popular area of the St Louis Science Center. Here you will find the huge dinosaur models. There is also a fossil dig area. When we visited there were tons of young kids in the play fossil area. There is lots of seating there for parents and the area is fairly enclosed. If I lived in St Louis and had a young child, I could see visiting the center often on rainy days just to use this play area. The kids loved it! You will also find the “Center -Stage” area on this level. There are demonstrations done here throughout the day. It’s a great way to take a break and get your kids to rest and learn at the same time! One word of warning about the lower level. There is a Build-A-Bear down there. Not attached to the building…IN the building. It’s the first thing you see as you descend the stairs from the main lobby. I have nothing against Build-A-Bear but if you have a kid who is going to meltdown over it, take the elevator down and try to steer clear of the back corner. Each level has at least one set of restrooms equipped with changing areas. There is also plenty of comfy seating for tired moms and dads scattered throughout the levels. On the second floor, you will find Cyberville, the Discovery Room, a structures area and the Omnimax theater. Cyberville is a large interactive area full of state of the art technology. If you have a ‘techy’ kid, they are never going to want to leave this part. The structures area is all about bridges, buildings, monuments and highways. They also have lots of Legos. How can you go wrong with Legos? 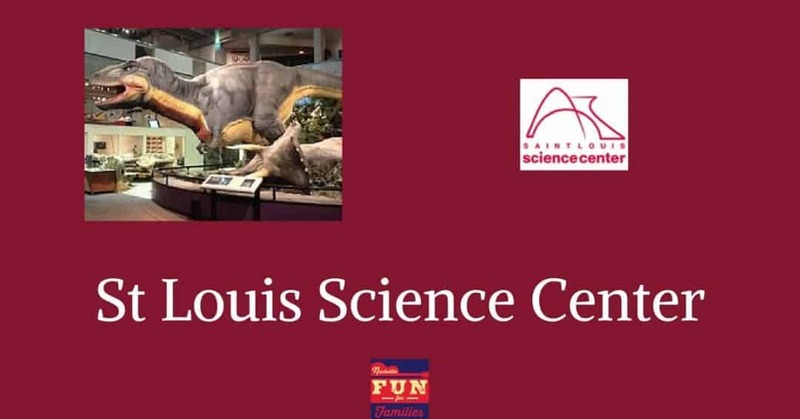 The St Louis Science Center offers something for everyone. We were there for three hours and I don’t think we experienced even half of what they have to offer. Make sure to use their great website when planning a trip. They also have a free app to enhance your visit.